We have been traveling for over six months now and in that time we have seen a lot! It has been incredible and we are very blessed to be able to be doing what we are doing. During that time, there have been stops that everyone has said, “you must go see.” Depending on where you are, every location has at least one “must-see.” For the US, the Grand Canyon may have been at the top of the must-see list. As we alluded to in our last post, we drove all through the night and arrived at the South Rim Visitor’s Center around 4am. We were smoked, but decided to walk to a viewpoint (in the dark) to “see the canyon.” The moon was out in force and despite the light it was throwing, all we could see was one giant and scary black hole. It was kind of eerie. Dead quiet, dark and knowing there was a ginormous hole in front of us…. We decided to take a brief 45-minute nap in the car until we jumped at the opportunity to catch the sunrise over the canyon. We took a shuttle to Yaki Point and witnessed one of the most amazing sunrises we have ever seen. Watching the light creeping over the horizon, hitting the canyon walls and revealing the spectacle in front of us truly was life-changing. Everyone has to experience this. We knew right away the Grand Canyon was one of those rare “must see places” that was going to blow away the hype. 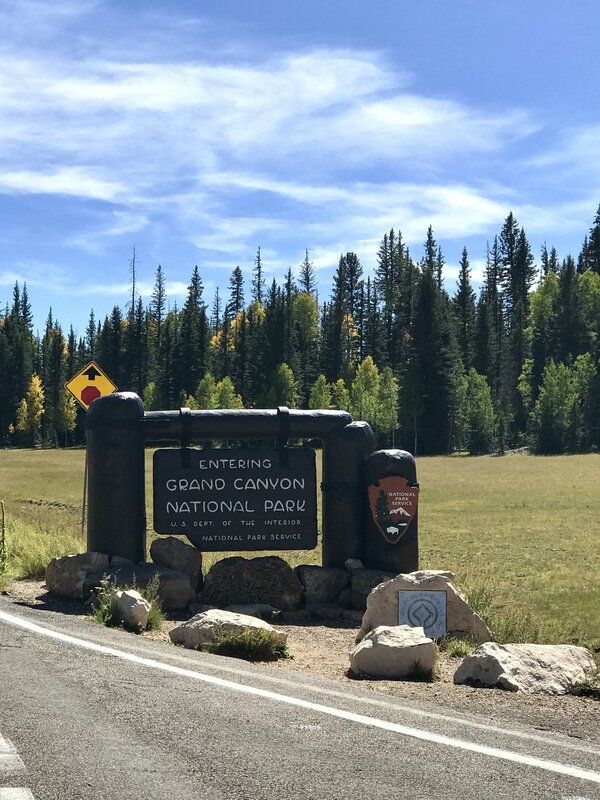 We had our sights set on hiking down to the canyon floor and spending the night, but when we heard from a fellow traveler how hot it was down there (upper 70s at night, 105 during the day) and the frequent scorpion visitors, we decided camping on the rim was our best bet. We camped at a site on the south rim for nights one and two and secured a back-country permit to camp at a remote site called Point Sublime on the north rim for night three. 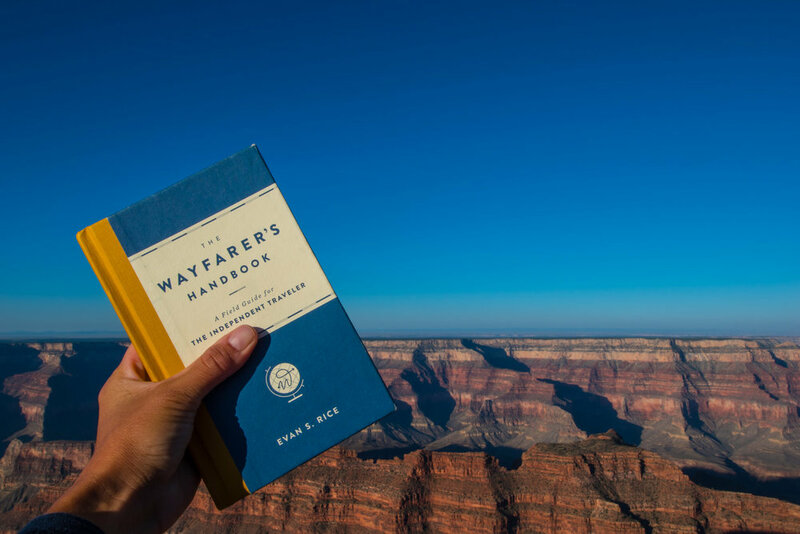 While on the south rim, we hiked the famous South Kaibab trail one morning and made it about halfway down the canyon before turning back. To attempt a one-day hike to the Colorado River and back was not only a bad idea, but rangers along the trail would turn you away if you attempted it. There had been some recent incidents with hikers getting exposed without water and falling into grave danger, sometimes resulting in death. Once the sun was up we understood why, the canyon is extremely hot and there is nowhere to hide. Furthermore, hiking back up was crazy steep! Nonetheless, we got amazing views from inside the canyon walls of the crazy rock structures, the colors and the Colorado River below. The most memorable experience though for us was night three. We drove some 5 hours just to get from one side of the canyon to the other and then arrived at the Point Sublime trail-head for a 17-mile drive to our remote campsite. The 17 miles took us over two hours due to the rock scrambling, the mud and the crazy terrain. Once we arrived, we were blown away. We were on a small point, right on the canyon rim and were able to camp by ourselves with no other human beings. It felt like we had the canyon to ourselves. We set up camp and soon met another couple, Mark & Erica, who had booked the same remote site (there were only two permits) and soon became fast friends. We took over opposite sides of the point, but joined forces to watch the sunset, discuss photography and share travel stories. As the sun fell, our friends headed back to their tent and the two of us prepared dinner and settled in. Once again, the darkness made the scene quite surreal: a giant black hole directly below us and the colorful milky way above. It was some of the best stargazing we have ever done. We slept under the stars, right on the canyon edge with no one else around. It was an incredible experience! The next morning, we woke up for sunrise and once again teamed up with Mark & Erica, took photos and packed to head out. It was a gorgeous drive from the canyon into Utah since the thousands of birch trees were turning yellow for fall. We reflected on what we had just done and could not imagine topping it. Utah though, would prove to be another insane part of our journey, can’t wait to share it.